Summary: As Jasmine’s family prepares for the new year, she is frustrated that her older sister Sophie gets to help the women in the kitchen preparing the mochi balls. Not only that, but mean cousin Eddie is old enough to help pound mochi with the men in the backyard. Unwilling to be relegated to babysitting her younger cousins, Jasmine decides to prove that she is strong enough to join the mochi pounders. Her patient and understanding family helps her along, and she is able to contribute to the festivities in her own unique way. 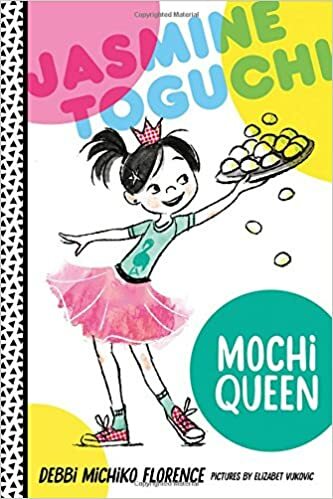 Includes an author’s note about mochi, a mochi recipe, and a preview of the next book in the series. 128 pages; grades 1-4. Pros: Jasmine is a spunky, likable character who will appeal to fans of Ramona and Junie B. Jones. Each of the first three books in the series focuses on some aspect of Japanese culture. Cons: The recipe for mochi didn’t look appealing enough to make all the preparations in the book seem worthwhile. Summary: When the bell rings on the island inhabited by nine children, a green boat appears out of the mist, carrying a new orphan ashore. Then the oldest child gets in the boat and leaves for places unknown. When Deen leaves, Jinny becomes the Elder. She is in charge of Ess, the little girl who has just arrived in the boat, and must teach her the ways of the island so that Ess will be independent by the time Jinny leaves. A year goes by, the bell rings again, and the boat returns, this time with a little boy named Loo. But Jinny can’t bear the thought of leaving. She pulls the boat onto the shore and announces that she’s staying. Slowly, things begin to change on the island; the safe routines are disrupted and the idyllic environment is threatened. 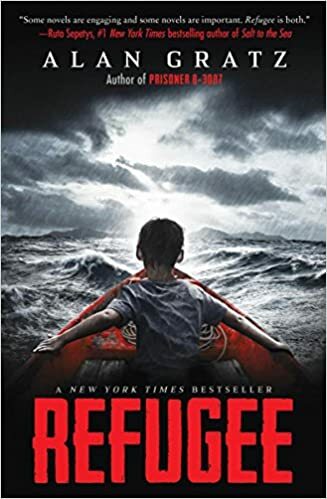 When disaster finally strikes, Jinny realizes she has one chance to try to make things right again, even if it means giving up what she wants most of all. 288 pages; grades 3-7. Pros: A beautifully written tale about a kids’ fantasy world that could be a metaphor for growing up or even life and death. I’ve seen this book on a Newbery list or two. 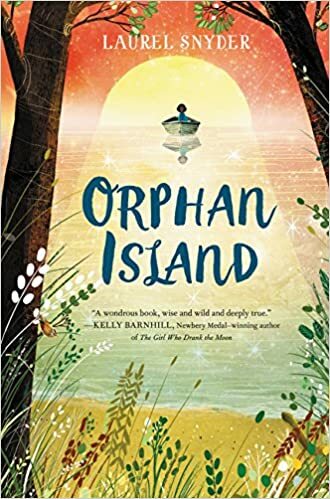 Cons: The question of why the children are on the island is never answered, and some readers will undoubtedly find the ambiguous ending unsatisfying, particularly if there isn’t a sequel. Also, be aware there is a scene where Jinny gets her first period that may be confusing to those who haven’t yet had the “puberty talk”. Summary: Young pig Lily Leanchops is frustrated that her father won’t take her work seriously. She’s secretly built a working airplane, an accomplishment her father has been unsuccessfully attempting for some time. After a few aerial encounters with the pigs’ enemy, the warthogs, she ends up as a prisoner in their kingdom. 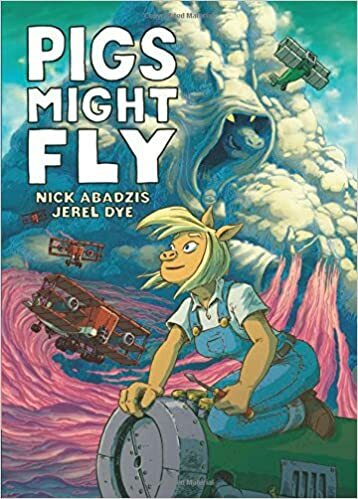 He father’s old apprentice, Ham Trotters, is revealed to be their leader, and the second half of the book takes Lily deeper and deeper into the warthogs’ world, in which ancient magic exists side by side with modern science. Lily and her cohorts are able to defeat Ham and unite their two countries peacefully, but a surprise on the final page indicates the evil has not been completely eradicated and a sequel may be necessary. 201 pages; grades 4-8. 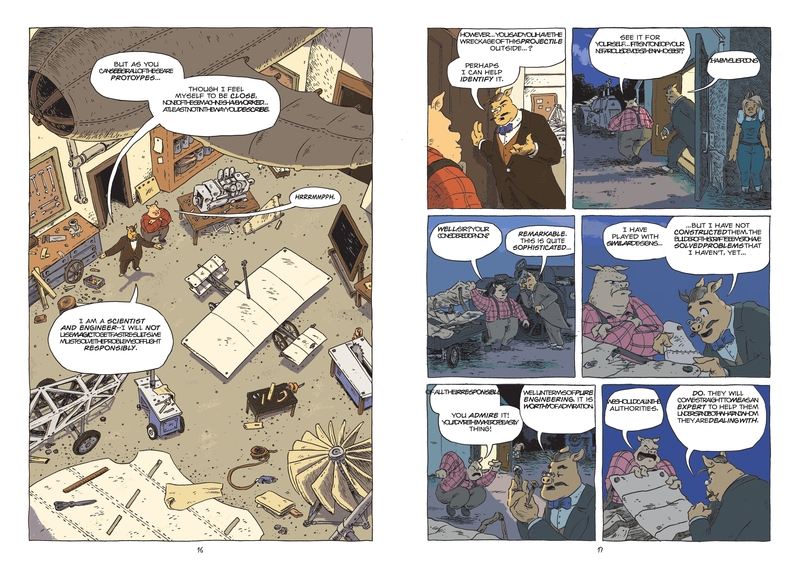 Pros: Fans of the Bone and Amulet series will undoubtedly enjoy this new graphic novel featuring a rich imaginary world inhabited by a variety of swine in a 1920’s-era setting. There is plenty of adventure and a strong cast of both female and male characters to appeal to a wide audience. Cons: I found myself skipping rapidly through some of the battle scene pages. Summary: Anyone who has read Dori Hillestad Butler’s Buddy Files series knows that Buddy started life as King and lived with a girl named Kayla before being sent to the pound. 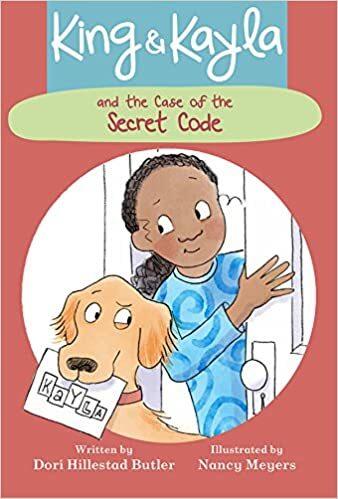 In this series for younger readers, Kayla and King work together to solve mysteries in their neighborhood. As readers who are acquainted with Buddy know, King has many favorite foods and can understand humans, but can’t make them understand him. In this first installment, Kayla and her friend Mason receive almost identical letters in code. King can sniff out the identity of the sender, but the two kids have to rely on other clues. They list what they know and what they need to know, and eventually are able to crack the code and solve the case. 48 pages; grades K-3. Pros: Beginning readers will enjoy solving mysteries with the irresistible King, then moving on to read about his life as Buddy. The humorous illustrations and fast pace will keep them engaged. Cons: It makes me sad to know that Kayla and King ultimately will be separated. Tomorrow I take my daughter back to college, Monday and Tuesday are professional development days at my school, and Wednesday the kids return. This gives me the bittersweet mix of sadness that summer is over and excitement that school is starting again. If you and/or anyone in your life is going back to school, here are some new books you might want to read. 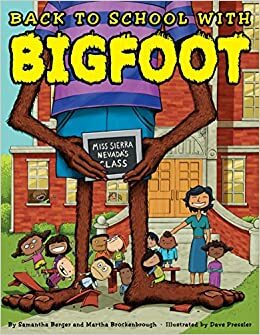 Back to School With Bigfoot by Samantha Berger and Martha Brockenbrough, illustrated by Dave Pressler. Published by Arthur A. Levine Books. Bigfoot explains why going back to school is extra difficult for him; from back-to-school shopping and haircuts to fitting in at the cafeteria. He’s ready to quit until he remembers all the fun that’s in store for him in the year ahead. Perfect for dealing with first day jitters. 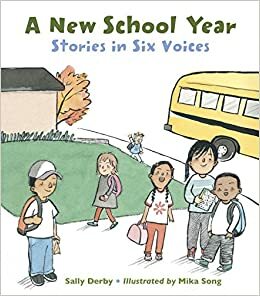 A New School Year: Stories in Six Voices by Sally Derby, illustrated by Mika Song. Published by Charlesbridge. I haven’t had a chance to look at this poetry book yet, but reviews call it a great ice-breaker for teachers and a possible inspiration for kids’ writing. Six diverse kids from grades K-5 tell their experiences throughout the first day of school in four sections that start with the anxious night before and end after the first day is over. 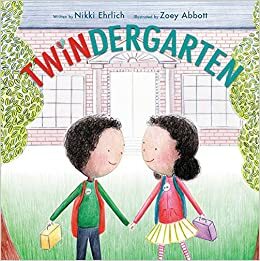 Twindergarten by Nikki Ehrlich, illustrated by Zoey Abbott. Published by Harper. Know any twins who are in different classrooms for the first time? This book will show them how it’s done, with the reassuring message that it’s possible to thrive on your own while maintaining that twin connection. I’m Smart! by Kate and Jim McMullan. Published by Balzer and Bray. Using their winning formula from I Stink! 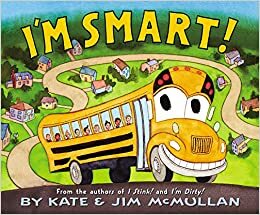 and its sequels, the McMullans present a cheerful and confident school bus who explains the ins and outs of her job. How to Get Your Teacher Ready by Jean Reagan, illustrated by Lee Wildish. Published by Alfred A. Knopf. 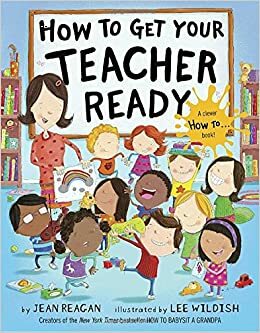 Another one I haven’t read yet, but it’s from the team that brought you How to Babysit a Grandpa and its sequels, so it’s sure to be a fun and rollicking look at the beginning of school, as well as a fine example of procedural writing. 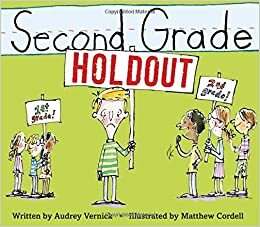 Second Grade Holdout by Audey Vernick, illustrated by Matthew Cordell. Published by Clarion Books. Summary: From the creator of the Bedtime Math books and website comes this collection of questions submitted by real kids and answered using math. 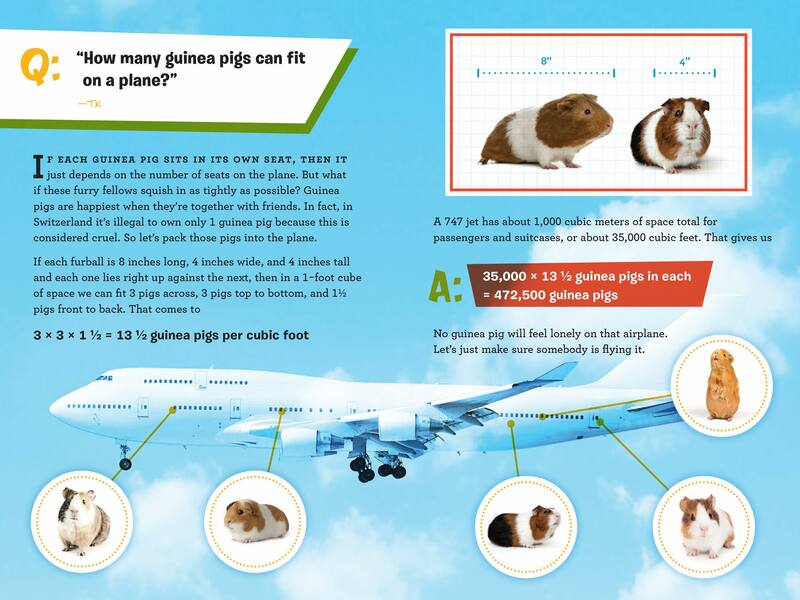 The answer to the question in the title is found using the dimensions of a guinea pig, calculating how many could fit in one cubic foot, then showing how many cubic feet are in a 747 jet. And that would be 472,500 guinea pigs. The cute and eye-catching illustrations of guinea pigs show their measurements in all directions. There’s even an interesting non-math fact thrown in (guinea pigs prefer company so much that in Switzerland it’s illegal to own a single pig). Questions are divided into five chapters: Animal Math, Nature Gone Wild (“Which wind blows faster, a tornado or a hurricane?”), Math for Your Mouth (“How much food do we eat every day?”), Your Life in Numbers (“When will I be a billion seconds old?”), and Earth and Friends (“How many soccer balls will fit inside a hollow Earth?”). The final section, “Now Do It In Your Head!” shows some tricks for quick mental math calculations. 144 pages; grades 2-6. 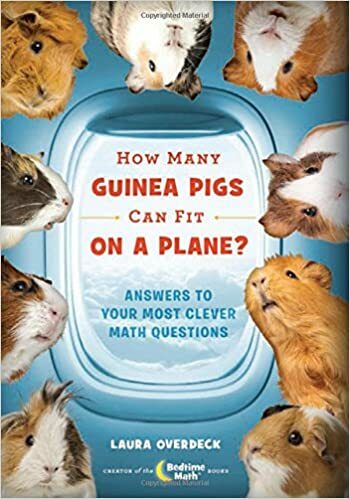 Pros: Kids will be drawn into this book by the questions, and even those who claim to dislike math will follow along with the calculations to see how to find the final answer. Check out the website (www.bedtimemath.org) for more mathematical fun. Cons: I wish there were more awesome kids’ math books like this being published.